Football is a fun, challenging and energising team game for beginners and experienced players alike. Whether your strengths are on the ball or off it there’s a role for you in football – and that’s just as true if you’re getting into 5-a-side or the full 11 player game. If you’re after something competitive, local football clubs offer a great option, while if you fancy a kickabout with some mates, your local leisure centre, park or garden could be just the trick. 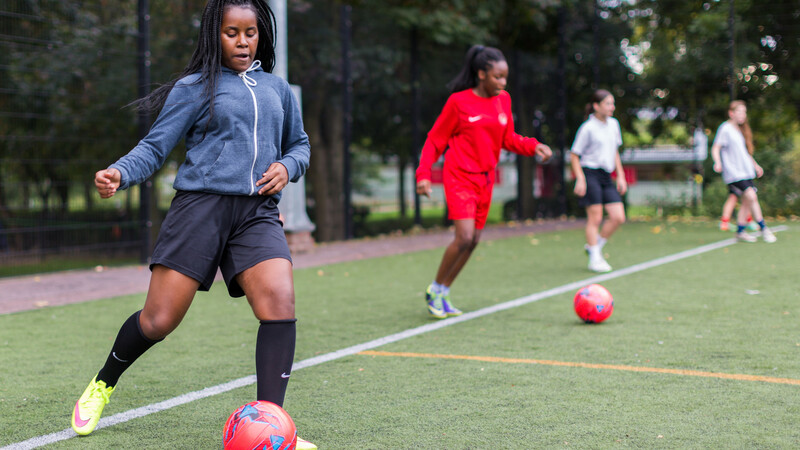 So whether you're the next Rachel Yankey or David Beckham or you’re just looking for a fun kick around, put your boots on and give football a go. If you’re playing casually, all you need is a ball and open space to play. If you wish to join a club or play more competitively, investing in some good quality, not necessarily expensive football boots (astro turf or studs) and shin pads is recommended. Most clubs will provide a fancy team strip for you to wear. You might want to check out the Football Association to find out more about the rules of the game and how you can take part in football.